This post was kindly written for us by our friends over at Bellhops Moving. Young married couple moving into a new house, holding a key together. Moving into a new house is an exciting experience, but there’s a lot of different things you’ll need to do before you can officially settle in. From arranging for a moving company to help you make your moving day as simple as possible, to ensuring that you change the locks for security and peace of mind, the first couple of days in your new property can be more important than you think. 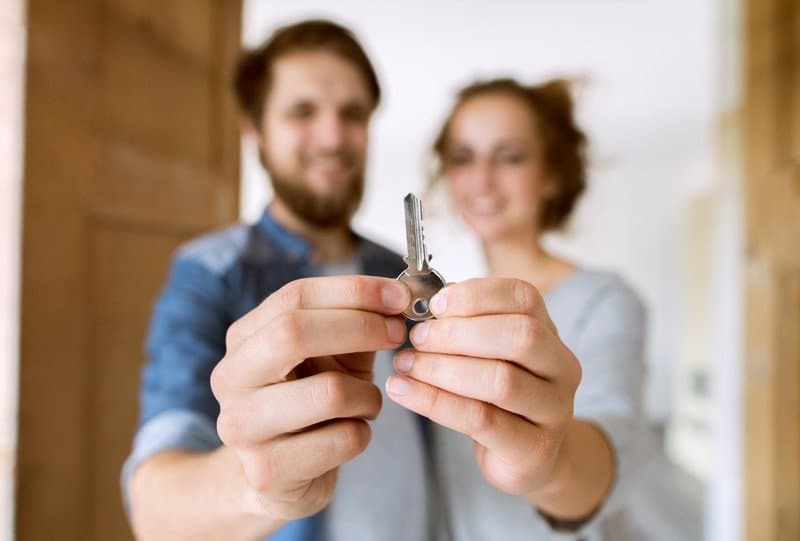 To ensure that you start your life in your new home on the right path, we’ve put together these quick tips that you can use as a checklist for moving success. Even if you don’t mind hiring a van to take all your belongings to your new home, attempting to move without the help of a professional company can be a nightmare. There’s so much to handle, from heaving heavy furniture in and out of your property to making sure that nothing gets broken during transit. What’s more, when you don’t have the help of a moving company, there’s no insurance to protect your belongings. Turning to your local movers for support will help to keep the stress of moving day to a minimum, so you can focus on other things – like keeping the kids happy or planning your new décor. The last thing you want is for your moving company to finish unloading everything into a new home that’s not secure or safe. Though you might trust the old tenants of your home not to come back and try to steal your belongings, it’s hard to know for sure what someone else will do. Changing the locks ensures that you’re the only person with access to your home. When doing this, make sure you find the best locksmith possible, security for you and your family is priority number 1. If you haven’t already set a date for your utility company to move your bills over to a new address, then now’s the time to do it. Don’t wait until you’re ready to settle in for the night to discover that you don’t have any gas, electricity or running water set up. While you’re arranging the practical side of your moving in checklist, remember to check where your mail is going to be delivered too. If you haven’t switched your address, contact your post office and ask them to forward your mail to your new location. As tempting as it is to start unpacking boxes the moment you arrive at your new home, put that process on hold for a while until after you’ve finished cleaning. A deep-clean will ensure that every inch of your house looks and smells fresh. It’s much easier to settle into your new property when you can’t smell the scent of the previous owner’s pets wherever you go. It also means that you don’t have to worry about leftover germs or bacteria. Finally, take the time to get outside and explore the neighborhood you’ve chosen to live in. Find out what kind of amenities there are in your local area and speak to the neighbors to start building some bonds. It’s always easier to live somewhere when you know your neighbors will be happy to take your mail when you’re not home and keep an eye on your house when you’re out of town. 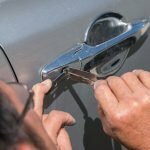 Mobile Locksmith Indianapolis LLC - Experienced team of locksmiths on call 24 hours a day, 7 days a week - nights, weekends, and holidays. Call (317) 927-8333.